Ambico decorative door and frame products are designed to meet unique aesthetic criteria demanded by architects, designers and end users. Our creative team is responsive to modern trends and architectural inspiration while being mindful of classic design. Our engineers and factory personnel work with a variety of ornamental metals including brass and bronze sheet. As well, Ambico's expertise extends to a wide range of stainless steels that can be incorporated into our manufactured products including mirror, colored, etched and embossed. Doors and door frames can be selected from our library of photos and sketches. 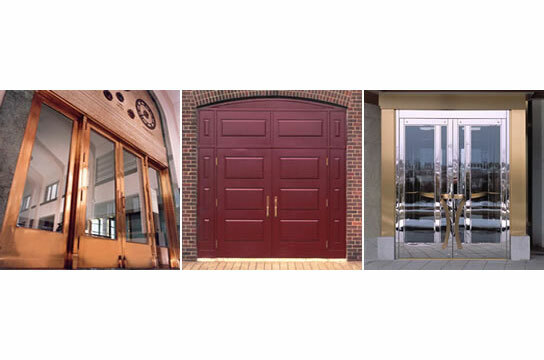 As well, we are able to work with professionals at the early stages of a construction project to design unique door products.